Shanghai Hundreds' Ace Herbal Pharmaceutical Co., Ltd. (HAH), a comprehensive enterprise integrating pharmaceutical research with production and operation, created its brand in Dec. 2004 after the reorganization from its predecessor,Shanghai Huahai Pharmaceutical Factory and Shanghai Huahai Pharmaceutical Co. Ltd., which was established on Dec. 22, 1993.The registered capital of HAH is 150,000,000 RMB. HAH locates in Qingpu Town, Shanghai, covering a total area of 58,100 �O, with 29, 300�Ofloor area and 31,000 �Ogreen area. The company is strictly in line with GMP on the design, production and operation. Now HAH owns production workshops for pharmaceutical, health care products and APIs, which can produce various products such as oral pills, capsules, tincture and aseptic APIs. 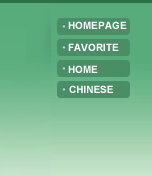 HAH holds the mission: “people oriented, market centered, serve human heath with science and technology as the lead”, and dedicates to the research, development and marketing of TCMs, APIs and health care products, etc., offering various products with efficiency, safety and high quality to the society based on independent and cooperative innovation. The new drug, Tang Herb, is the first TCM for HIV/AIDS approved by CFDA. HAH makes great efforts on development and innovation. 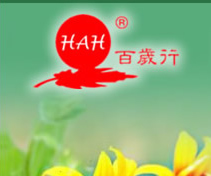 HAH has purchased a batch of advanced production and research equipments, ensuring the stability and controllability of the products and laying a solid foundation for entering international mainstream medicine market. HAH has a group of management and marketing talents with high quality and level, as well as professionals including professors, PHD, MA and licensed pharmacist in HAH R&D Center, who are the solid platform for technical innovation. HAH manages to improve economic benefits as well as strengthen the construction of corporate culture. The company spirit of HAH is: “Integrity,diligence, inheritance, innovation.Shoulder social responsibilities courageously”, which becomes proverb of every HAH people who works hard to revitalize national industry. Grasping the business opportunity is critical to success. All colleagues are welcomed to join us and make success hand in hand to develop Traditional Chinese Medicine and strive hard for human health. Let’s compose a more brilliant and prosperous future for our common business and life! HAH company beliefs are: Honesty and integrity. Accountable for quality and customers.